To help students in every possible way. Mentoring student community for early success. Career Quest is Delhi based coaching institute which provides training for competitive examinations in India. Institute offers following services to the student community across country. 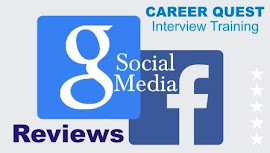 - Interview/GD Guidance classroom training in Delhi. - Interview/GD Distance Learning Program across country. - IAS Study Kit : Innovative correspondence course for IAS aspirants. 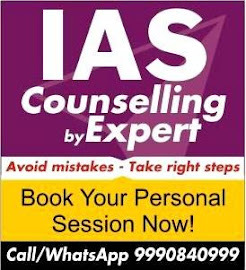 - i3 workshop : Personal Counselling for IAS Aspirants. - IAS Foundation : Classroom course in Delhi for college students. 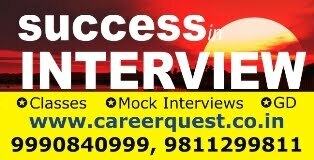 Career Quest is popular among students for quality guidance, dedicated & self motivated faculty and personal attention. Since 2008 institute has maintained a high success rate up to 80%. More than 1800 students from Career Quest achieved success in various govt jobs. No. 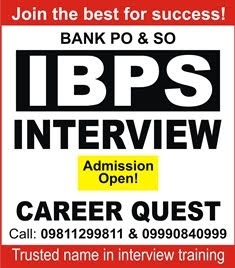 1 institution in India in providing coaching for govt job interviews. Career Quest (with logo) is registered® trademark of Career Quest. Unauthorised use of the trademark/name is strictly prohibited.